Rodents in Seattle can be a huge pain for homeowners. Quick to reproduce and difficult to catch, rats and mice can easily take over a household. If you want to ensure your home stays free of invaders, you’ll need to take some steps to discourage them. The easiest way to do that is by not luring them toward your home in the first place. Rats and mice go wherever they can locate food, and a vegetable garden is basically like offering them a salad bar in your backyard. Ripe produce that has fallen to the ground is the perfect hassle-free food source for a rodent. That means the rodents who feed on your garden will be seeking shelter nearby, putting your home at risk. While gardens might put you at greater risk of rodent infestation, they can also provide nourishment and pleasure. Therefore, rather than removing your gardens, staying on top of fallen produce is your best bet. Regularly harvest any ripening produce and remove rotting items from the ground. If you keep a compost bin, be sure to place it far away from your home as possible. Rodents can smell areas where their kind have previously lived, and they feel most comfortable in these areas, which means past infestations will put you at greater risk. You might have eliminated the rodents themselves, but unless you’ve thoroughly sanitized your home afterwards, the problem will remain. The best way to ensure complete sanitation after a rodent infestation is to deep clean the entire home, including all areas of the attic, basement, cupboards and closets. When in doubt, it’s best to contact the professionals for a thorough inspection. If you’re at risk of rodents, all food should be sealed in airtight containers. Your home should also be kept very clean. A few crumbs to a human could be a meal to a mouse, and if a mouse finds one meal, he’ll surely be back for more. Giving your kitchen and dining room a quick sweep and mop each evening might seem like a lot of work, but if it can keep the rodents from your home, it’s worth it. 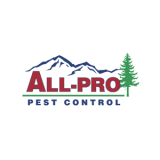 If you suspect a rodent infestation and would like a professional inspection, please contact the experts at All-Pro Pest Control today.